If you are someone who makes New Year's resolutions (or even if you aren't), below are five that every family caregiver should make - and keep - in 2015. Consult with legal and financial experts - Elder law attorneys, financial planners and geriatric case managers can help you and your older loved ones understand the wide range of legal and financial issues related to aging including: powers of attorney, guardianship, advance directives, Social Security, Medicare, estate planing and payment options for long-term care. Schedule a wellness exam with your physician - To be an effective caregiver, you must take care of your own health. Call your physician's office today to schedule an exam and have any health screenings and vaccinations you may need. Find a community or online support group - It makes sense that the best advice and ideas come from those who share the same experiences as you. An Internet search will help you find support groups that meet in your area or online. You can also contact your local council on aging for resources. Make time for a personal life - While the time spent caring for an aging loved one can be rewarding, it can also be demanding and overwhelming. You deserve a break now and then, so get out your calendar and call some friends. Make plans to see them for coffee or lunch. Also, incorporate a little "me time" into every day and use it to pursue a favorite hobby, read or take a walk. 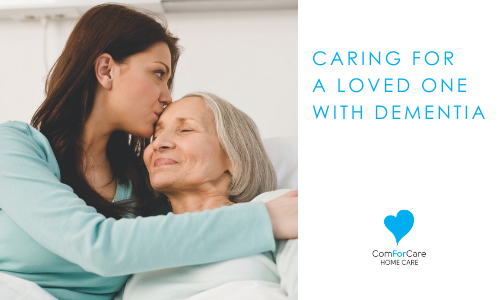 Ask family to care for your loved one while you go out or use the services of professional care providers. Give yourself a "pat on the back" - You sacrifice a great deal to care for your loved one and you may not receive much, if any, appreciation from others for all that you do. Each day, remind yourself that you are doing the best you can and your loved one has a better life because of you.